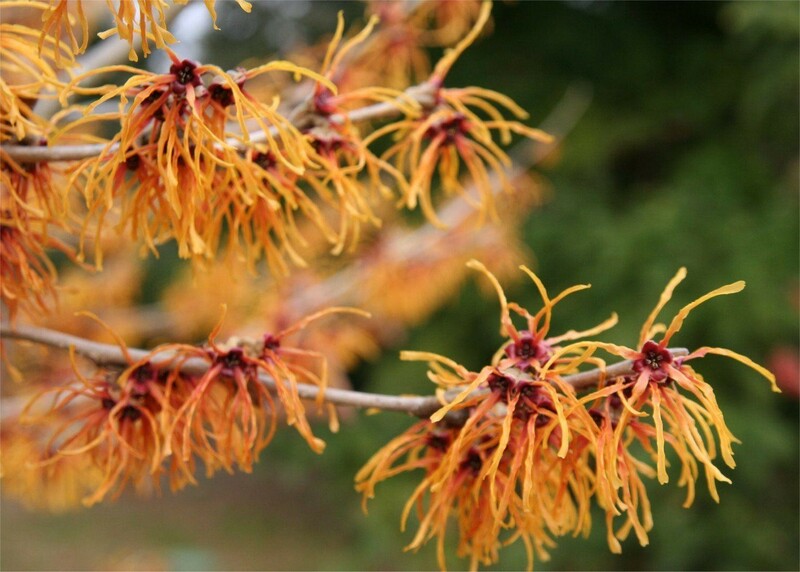 A vase-shaped deciduous shrub with clusters of large, fragrant, bright coppery-orange flowers on bare stems in December and January. 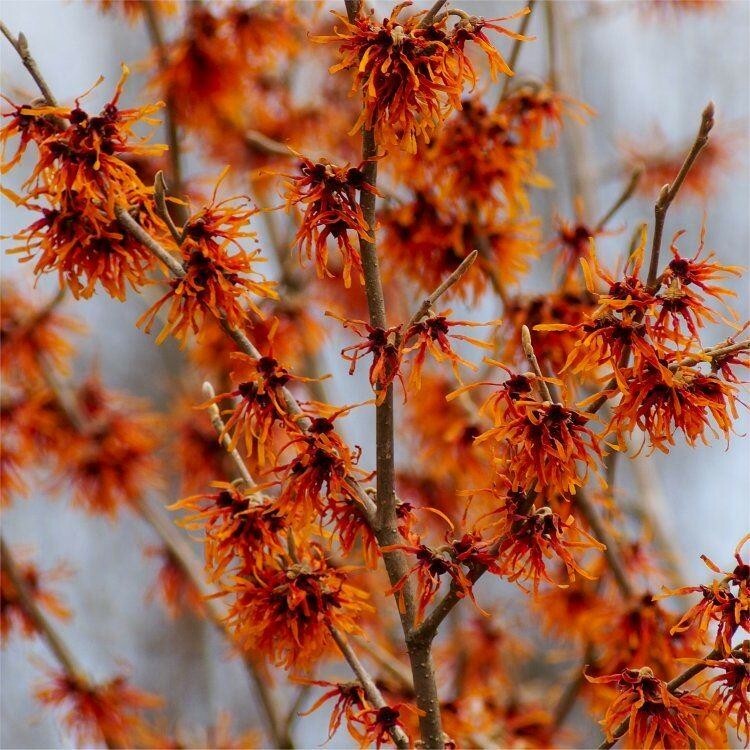 The tiered branches of this award-winning form of witch hazel contrast well with the vertical stems of dogwood. Best grown in fertile, moist, well-drained, neutral to acid soil, it makes an ideal specimen plant for a sunny shrub border or woodland edge. Plant along with a winter-flowering viburnum, such as Viburnum bodnantense 'Dawn', and enjoy the spectacle of two shrubs clothed in a mass of very different but complementary delicate flowers. 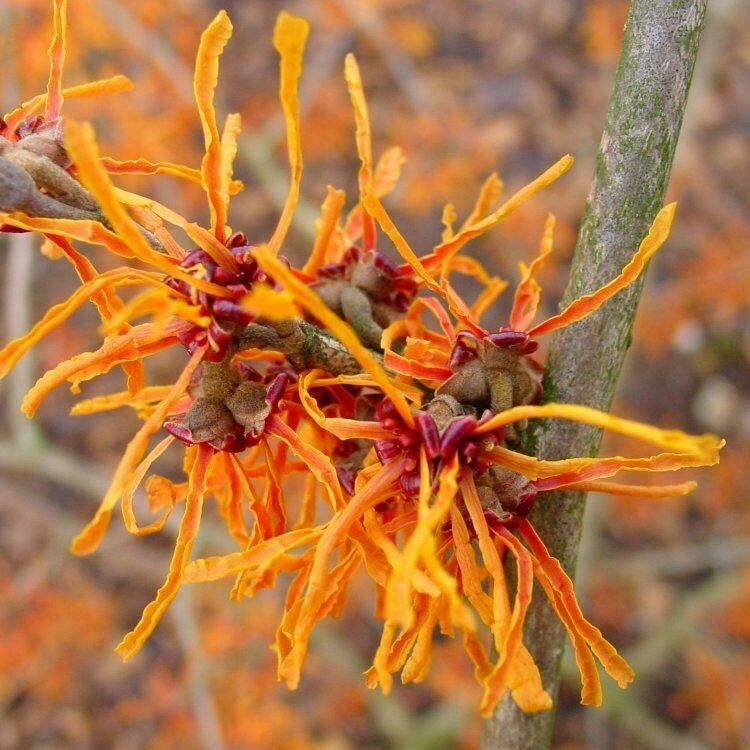 They are also both highly fragrant which makes winter walks in the garden a heady delight. Supplied well branched at 60-100cms tall, covered in buds in season, in approx 5 Litre containers.